I think last year was the first year I officially participated in Me Made May. 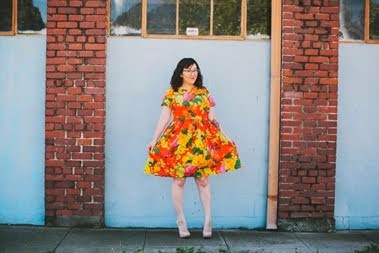 After completing a month of wearing something handmade everyday, it solidified what I already knew: I need more separates in my life. I've said it fifty thousand times, but my work environment is casual. Like jeans and t-shirt causal. And if I wore a dress?? Lolololol forget about it. 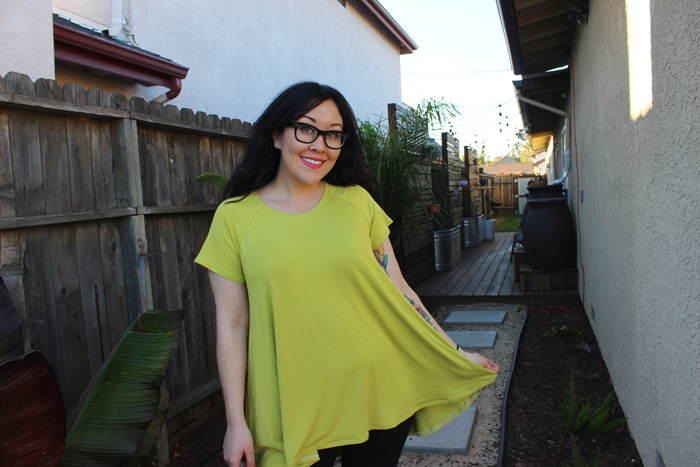 So this month I am going to focus on sewing some easy knit shirts and garments that can be worn to my 9-5 and I will share about them here. Technically these weren't sewn in May, but I am just getting around to posting them now. My blog, my rules, okkkkkk? 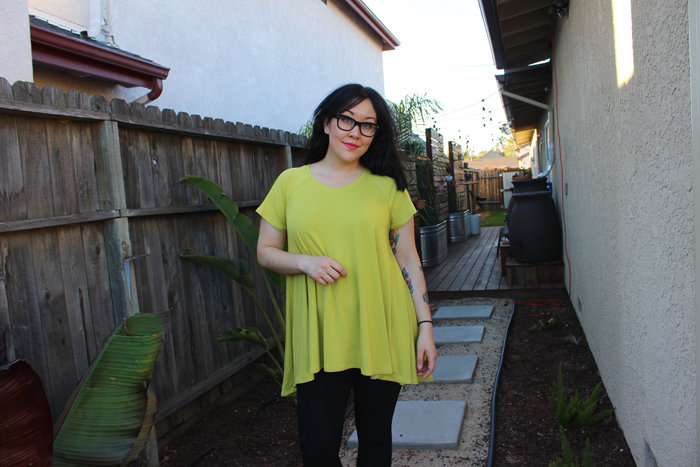 A couple of months ago I made my first Closet Case Patterns Ebony Tee in a mustardy greenish bamboo knit from Michael Levine. 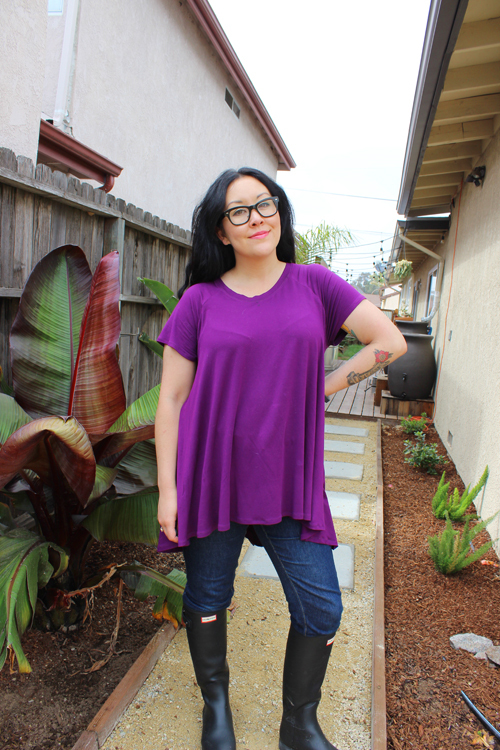 I guess this technically isn't the tee, it's the raglan tunic. Moving on. I LOVE it. Yeah, I know that I need to wear a different bra with this. Construction wise it's super straightforward. 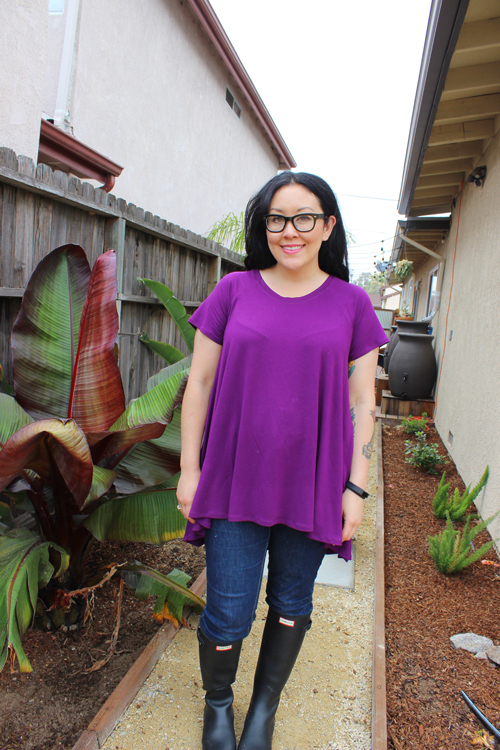 If you've made a knit shirt before then this will be a quick and easy sewing project. 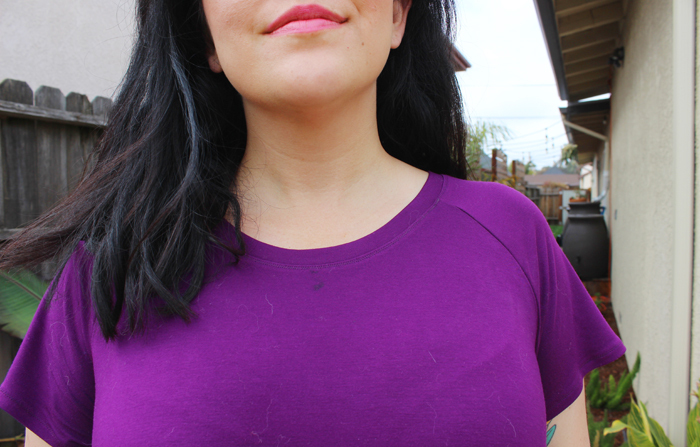 It has the simplicity of a basic knit tee, but is slightly dressier, at least in my opinion. Directions are clear, diagrams are great, and I couldn't find anything confusing at all. Shout out to that stain near my collar that I didn't notice until now. Great looking tees! I have been thinking about getting that pattern! I love these. Questions: how tall are you? Did you take any length out? How much?